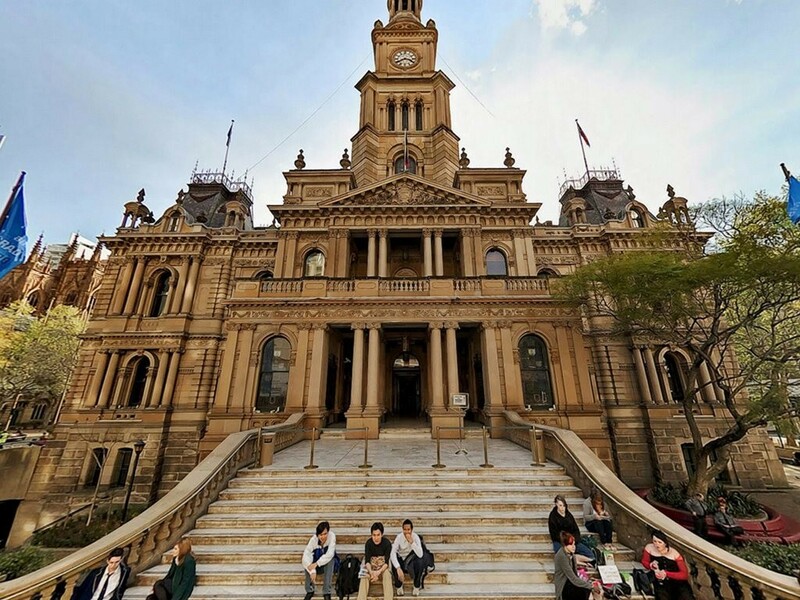 A trigeneration plant is now powering, heating and cooling Sydney Town Hall and neighbouring Town Hall House. Gradually phased in over the last three months, the plant is now fully supplying the City’s civic buildings on working weekdays from 7am to 10pm. Designed and installed by AE Smith, the system uses seven 200kW capstone micro-turbines that can each turn down to a tenth of their total power output, meaning they can follow the electrical demand in the building during both summer and winter months. The City of Sydney received a grant of $3.05 million from the Federal Government’s Community Energy Efficiency Program for the project. Sydney Lord Mayor Clover Moore estimates that the 1,400kW system will cut carbon emissions for the buildings by more than 40,000 tonnes over its 30-year lifetime, equivalent to 1,500 small cars. “As well as meeting the weekday energy needs of Sydney Town Hall and Town Hall House, the rooftop generation plant is ready to export significant amounts of electricity to the grid. This could help manage peak power demands and defer costly investment in electricity network upgrades,” says Moore. There has also been consideration in regards to investing in the switchgear that would make it possible for the precinct to operate in island mode during a blackout. Chris Collins, the council’s manager, says the recent widespread loss of power in South Australia has shown that trigeneration could be a method of making buildings more resilient during power outages. Trigeneration already operates in many properties across Sydney including commercial buildings like Qantas Flight Services, Google, 1 Bligh Street, 133 Castlereagh Street and 20 Bond Street; leading community clubs like Rooty Hill RSL and Castle Hill RSL; and multiple local governments like Hornsby, Leichhardt, North Sydney, Willoughby and Wagga Wagga Councils. Trigeneration is a low-carbon form of energy production, producing less than half the carbon emissions of the coal-fired plants that generate around 80 per cent of Sydney’s electricity. It is considered as an extremely efficient decentralised energy technology where electricity is made near where it is used, avoiding the need to bring electricity over long distances. It replaces coal-fired electricity and reduces emissions from connected buildings. Producing energy locally helps avoid expensive upgrades to the NSW electricity grid of poles and wires which have pushed up power prices.